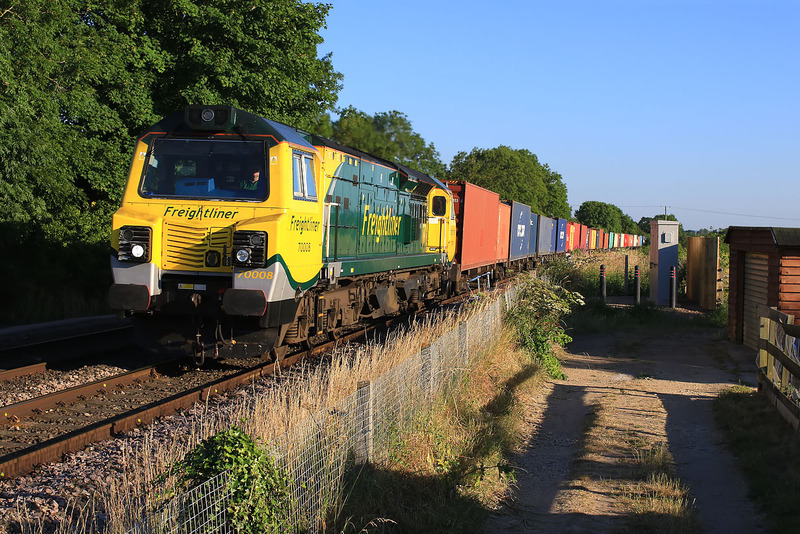 70008 passes Tackley on 27 June 2018 with the late running 4M99 17:00 Southampton Maritime to Trafford Park freightliner. A new Network Rail grey box has appeared where the footpath turns right just past the garage. Strangely it is not within the boundary fence, but just behind three bollards.